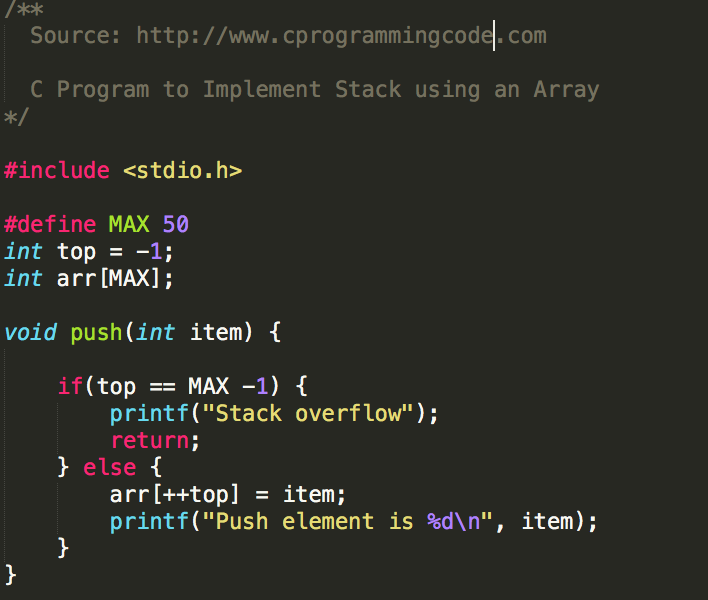 Write a C program to implement a stack using array. In this tutorial, You are going to learn the implement of stack data structure using an array. A Stack is a data structure in which insertion and deletion can be done from one end only. That's why it is also called LIFO(Last In First Out). In stack, Insertion and deletion operation is known as push (Insertion) and pop (Deletion). 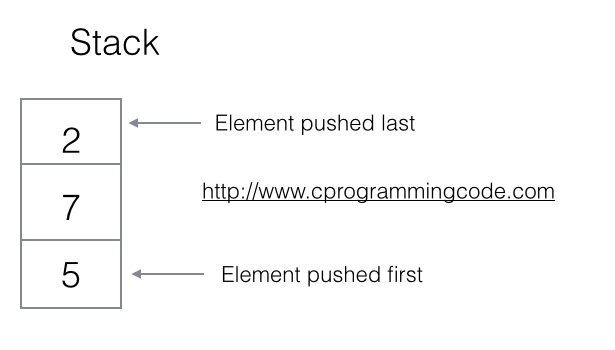 While inserting and deleting an element in a stack we need to check some conditions. For insertion, we need to check whether a memory is available, if memory is not available then it is known as stack overflow. Similarly, while deleting (pop operation) an element, if no element is present in a stack, then it is known as stack underflow. 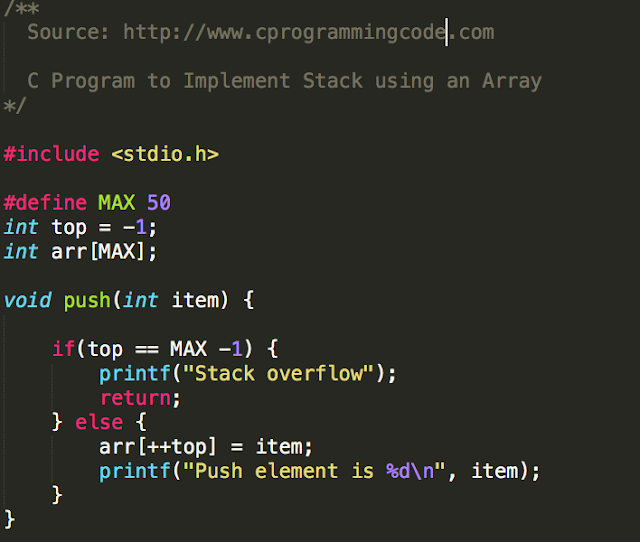 Let's write a c code to implement stack push and pop operation using an array.